The Australian Bus + Coach Show 2013 later this month will also mark 25 years of publication for Australasian Bus & Coach magazine – one of the major sponsors of the show. The show will be held at Sydney Showground at Sydney Olympic Park from September 25, and will feature more than $50m worth of buses, coaches and equipment under one roof. BusNSW Industry Development Manager Matt Threlkeld says a number of suppliers are using the show to launch new products and services to the market. "The show has attracted the interest of Australian and international bus and coach operators and staff, government representatives, equipment and service suppliers, tourism and hospitality providers, and bus enthusiasts," he says. "The show provides an ideal opportunity for visitors to view the latest vehicles, products and services available to operators and governments, which are designed to improve the customer experience. The double decker concept evolved from the 2011 show." Minister for Transport Gladys Berejiklian will address delegates and present three prestigious industry awards at the Industry Gala Dinner. The dinner is being held in conjunction with the show and is sponsored by ABC magazine, which is also celebrating 25 years of publication with its September issue. Managing Editor David Goeldner says the publication has continued to grow and develop a strong readership base over the years. "There is going to be some great development in the industry led by Australasian Bus & Coach," he says. "The magazine is now seeking out new territory in which to operate, and is developing faster, highly efficient methods to communicate with industry." On offer at the dinner will be a discounted subscription rate for the magazine, gifts on table including a multi-function tool and a door raffle prize of a barbeque and beer hamper valued at $175. 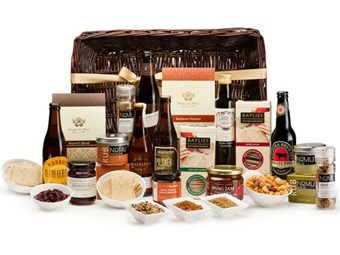 The hamper includes Knappstein Reserve Lager (330ml), Mildura Brewery Mallee Bull (330ml) and Monteiths Pilsner Ale (330ml). Go to www.busshow.com.au and select ‘Social Functions Register Now’ to register for the dinner.